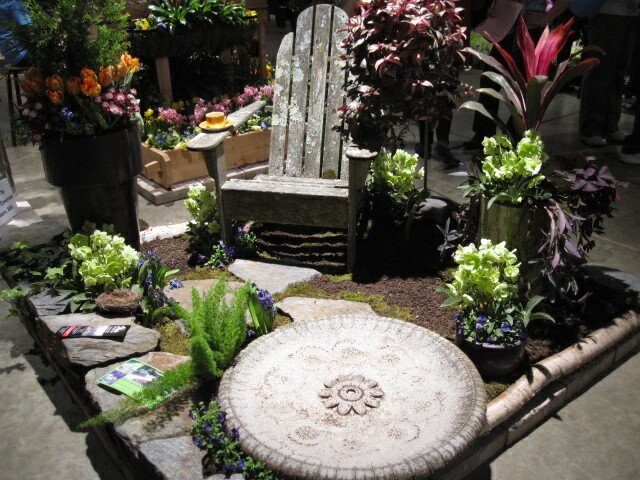 Just when we’re desperate enough, a concentrated dose of spring comes breezing our way at the annual Boston Flower & Garden Show, down by the city’s seaport. 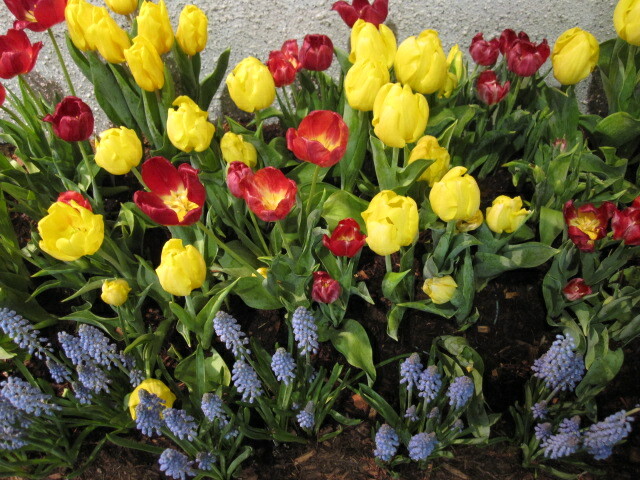 Yesterday’s heady blast of blossoms, color, and horticultural imagination is timed to remind us that yes, in fact, there really is another kind of mix beyond wintery snow and sleet—one involving seeds and plants and easy outdoor living. Really, not a moment too soon. 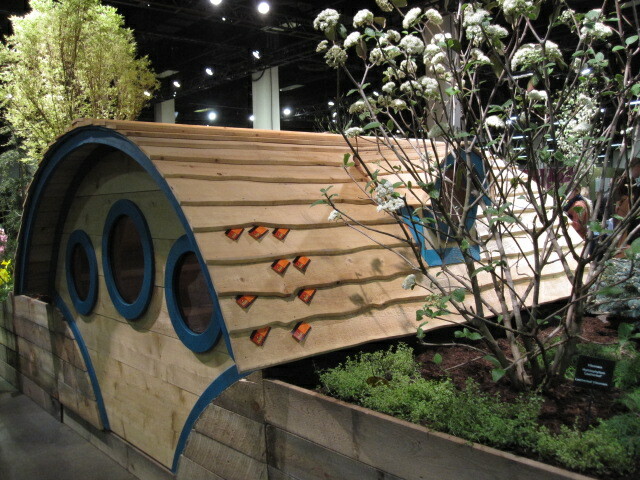 Water gardens, intimate nooks, and crazy chicken coops inspire all kinds of future dreams. 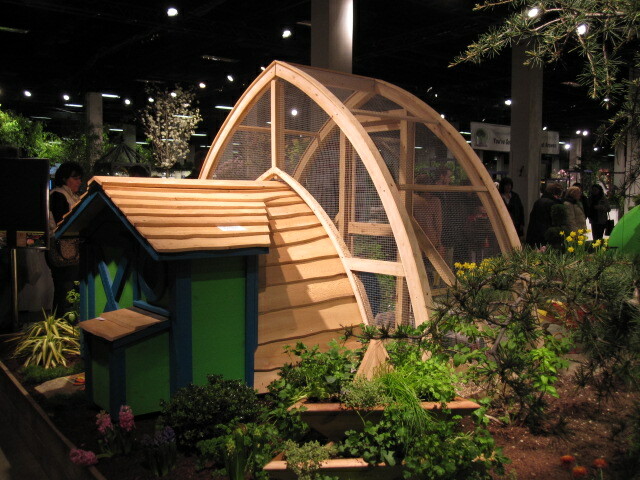 Hobbit houses and greenhouses and stork-like explosions of flower arrangements tickle the fancy and kick-start our dormant imaginations. 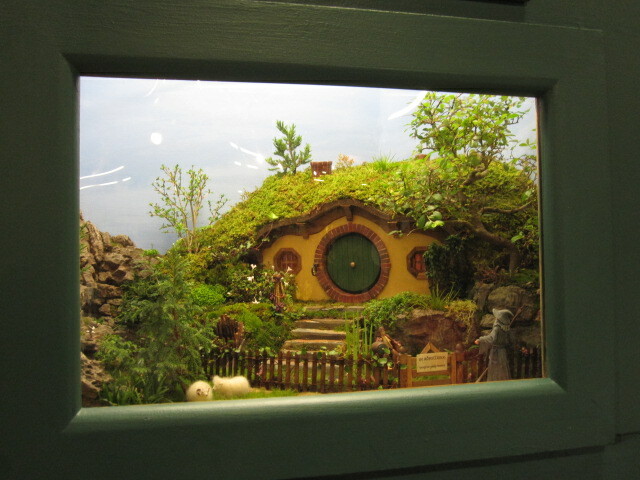 How’d they make that teeny little terrarium? 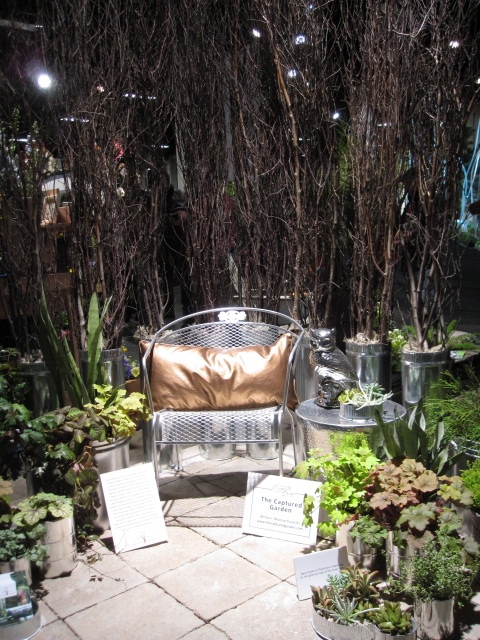 What’s holding up the locust trunks in Booth 28, and how deep would I have to dig in a couple of tree trunks to support my own glorious bamboo covering? Could I duplicate the logs edging that display of roses? 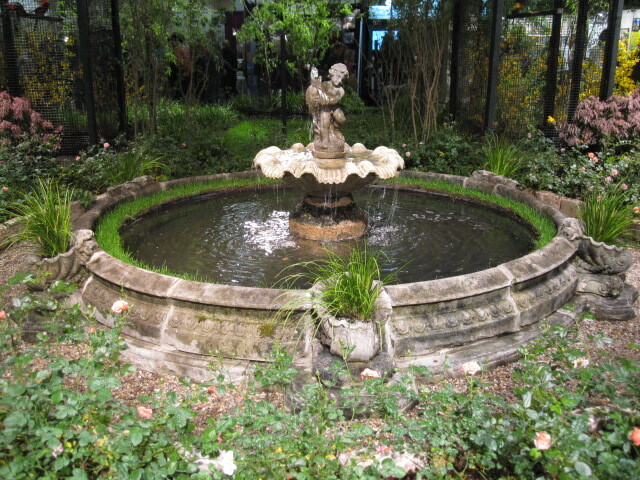 I really like that fountain…. 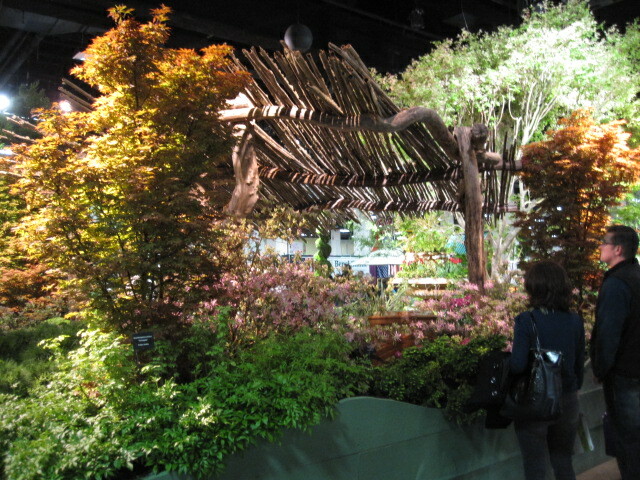 Seedlings, garden ornaments, and orchids call out, and I’m hankering after a Tuli Fisher handmade garden tool. 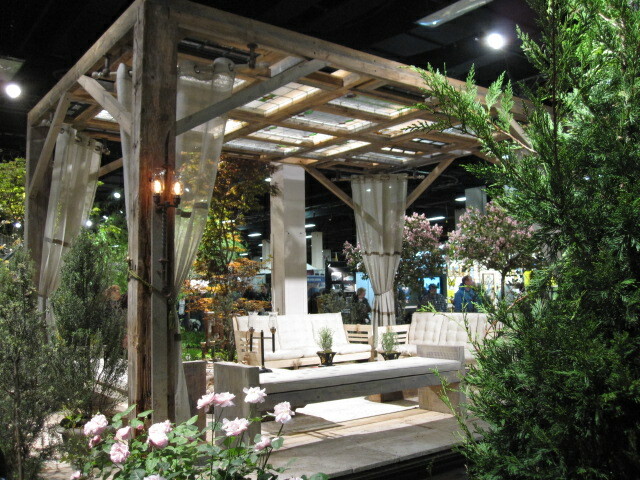 Or a pergola incorporating stained glass. 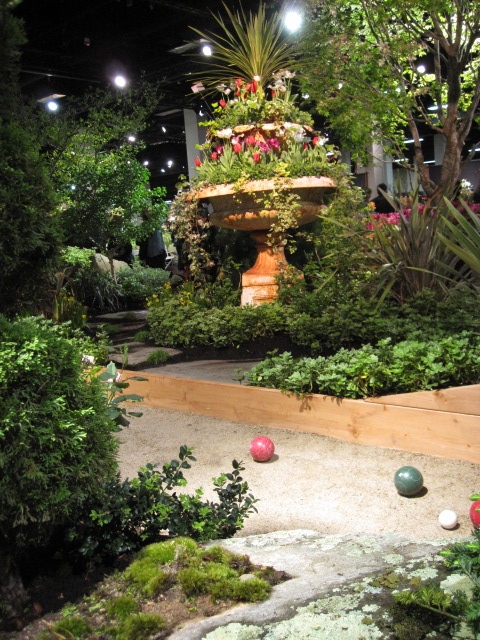 A bocce spot. Maybe my own nursery. In the end, though, it’s just a treat to shed the puffy down coat that’s been trailing me like a bloodhound for months, for a delicious preview of that awesome summer temp where body and air merge to become one. A reminder. Something green this way comes. 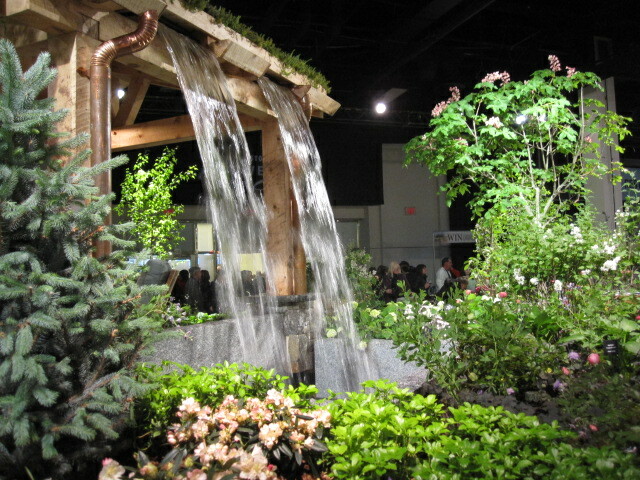 This entry was posted in A Desk with a View, Home, Travel and tagged Boston, Boston Flower & Garden Show, Chicken coop, Floristry, Garden, Home, New England destinations, New England spring, New England travel, Water garden. Bookmark the permalink. 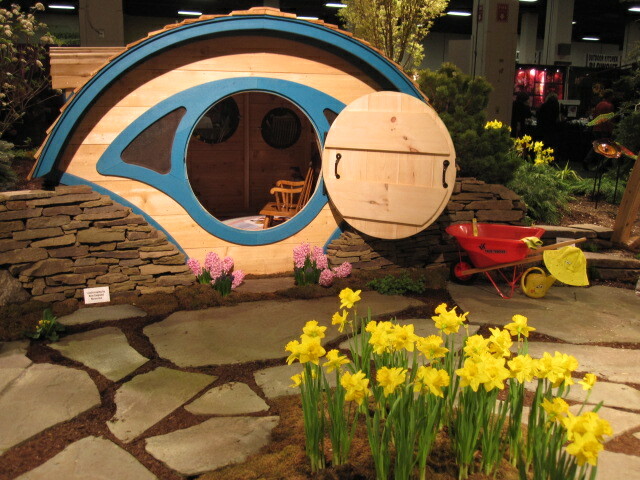 If anyone should live in a hobbit house, it’s you!